The Polish intellectual and diplomat Adam Daniel Rotfeld played a key role in creating a new system of international security in the enlarged European Union. 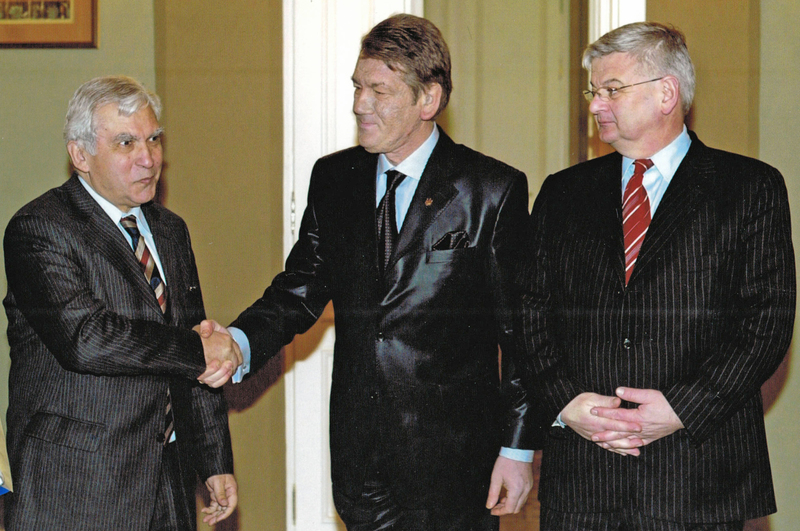 He contributed to settling the Transnistria conflict in the 1990s, helped resolve the political crisis in Ukraine during the Orange Revolution in 2004, and co-chaired the Polish-Russian Group on Difficult Matters. How does a professional crisis manager and architect of European security see the international conflict around Ukraine and the future of Ukrainian–Russian relations? Rotfeld spoke to Piotr Kubasiak at the Institute for Human Sciences (IWM, Vienna). Piotr Kubasiak: As Polish foreign minister, you had to deal with Russian leaders and understand their motivations. Do you have an explanation for the Kremlin’s politics since the annexation of Crimea? Adam Daniel Rotfeld: Russia’s stance towards Ukraine is determined mainly by the perception of Ukraine’s place and role in the process of rebuilding the Russian empire. Among Russian political elites, the dominant conviction is that potential internal collapse poses a greater danger to Russia than external attack. Today, there is not a single country that would want to wage war with Russia. Historically, Russia’s western borders have never been as secure as they are today. Creating a feeling of external threat is meant to foster the consolidation of society around the president of Russia, who has all power in his hands and who governs the country in an authoritarian and uninhibited manner. Russian leaders know that NATO forces will not attack Russia. Their presence on the territory of member countries is part of a strategy of deterrence, not a strategy of fear, intimidation and sabre rattling. In other words, the idea voiced in Russia that the country is under threat of an external attack is not true. The creation of an atmosphere of constant threat is part of a cynical game; it is propaganda meant more for internal consolidation than as an answer to potential external dangers, which – if there are any at all – exist only in the south of Russia and the Far East, and definitely not on Russia’s western borders. The true threats are of an internal nature: the underdevelopment of infrastructure and the potential disintegration of the state. Putin fears a repeat of the situation that led to the collapse of the Soviet Union. It was an implosion, not an explosion. After all, no one attacked the Soviet Union; it collapsed as a result of internal weaknesses. The reasoning of Putin and his supporters rests on the assumption that something that happened once can happen again. Their ‘besieged fortress’ strategy comes down to trying to avoid this. You can react to the risk of collapse in two ways. Look for the cause of a country’s sickness, offer a precise diagnosis and begin treatment, i.e. reforms. Or you ignore the real causes and divert attention from them. The system that has taken shape in Russia since the collapse of the Soviet Union is authoritarianism, which by nature eliminates alternative sources of authority. If the authorities have no alternative, then sooner or later they succumb to demoralization, degradation, decay. This leads to inevitable collapse. Such a system can last for a long time – in the case of Soviet Union for more than seventy years. Nonetheless, sooner or later it will collapse. History demonstrates that it is not external or internal enemies, but life itself that forces change. After taking power, the current Russian leader constantly used the word ‘modernization’. But the modernization that Russia aspired to did not succeed – not because Putin did not want it, but because the precondition for its success was a radical change of the system. But Putin chose not to change the system that he inherited. In place of democracy, the newly-elected president of Russia posited the establishment of a ‘dictatorship of the law’ (diktatura zakona). In practice, it turned out that a dictatorship is easier to establish than the rule of law. And it is easier to rule a country where a sense of threat dominates. Armaments give the illusion of strength. Putin also knows that his policies and propaganda have brought him support in society. If free elections were organized in Russia, he would win them with certainty. However, the very right to have an option and to make a choice would open the way to regime change. It is therefore crucial to create the illusion of threat and ubiquitous Russophobia throughout the world. Whatever bad might happen, it is explained as the result of a conspiracy by forces inimical to Russia. This affects explains practically everything, from falling oil prices to accusations of doping by Russian athletes. There is an interesting and curious line of argument on that point: ‘Well, everyone is doping, but only our athletes are attacked for it – why is that? Because we are the most above board. We are the pinnacle of virtue. We never conquered foreign territories. We have also never suffered a single defeat.’ The West, and especially the United States, is responsible for everything bad in the world today. The new ‘Russian idea’ is built on opposition to the West and the values of liberal democracy. Why did Moscow react to the Maidan in Kyiv in the way it did? Russian authorities spotted two dangers on the Maidan. First, people’s anger can lead to a change of power. Second, if reforms in Ukraine succeed, for millions of Russians it will be proof that they could also succeed in Russia. As a result, the only movement that arose in Russia after the events in Ukraine was an ‘anti-Maidan’. The thought behind it was easy to understand: ‘We will not permit similar events on the Red Square’. If anti-corruption and modernizing reforms succeed in Ukraine, then such transformations have to be stopped before it’s too late. What is happening in Ukraine needs to be stifled at source, because – as the revolutionary song put it – ‘a spark will set ablaze a flame’. Let’s take the Polish example. Poland collapsed at the end of the eighteenth century not because it presented a threat to the powers that bordered it, but because democratic freedoms were significantly greater in Poland than in those powers that took part in the partition of Poland. There was also a second – more important – factor: Poland was a weak state. Had the Polish elites been unified around the king, had they supported him politically and materially, had they consented to the creation of a hundred-thousand-man army, then the partitions would probably not have happened. There is a fine line between freedom and anarchy. It is from that time that the saying originates, ‘In Ruś as you must, in Poland as you wish’. I tend to think that if Russia were a strong country, there would be no need to create illusory threats and myths. Strong nations do not constantly ask themselves things like: ‘Why doesn’t the world like us?’ Nations and societies support well-organized states that are grounded in law and respect for values. Societies need states that give them a sense of national identity, safety and security – externally and internally. Another explanation for the Kremlin’s aggression in response to the Maidan is that Ukraine and its affairs are treated in Moscow as an internal problem of Russia. The hostility to the Ukrainian reforms and the destabilization of Ukraine are intended to avert internal transformation and democratization in Russia. Since Victor Yanukovych fled in March 2014, Ukraine has introduced more successful reforms than in the course of the previous twenty-five years. 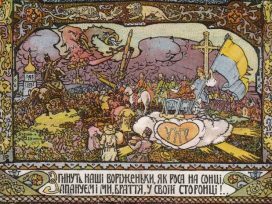 In the mind-set of many Russians, Ukraine is ‘Little Russia’ (Maloruś) and, like ‘White Russia’ (Belarus), it is a historical part of ‘Great Russia’ (Velikaya Ruś), which ‘welded them together forever’, as the Soviet anthem put it. In this conception, which is deeply rooted in the Russian mentality, Ukraine is a part of the community identified as russkii mir (‘Russian world’). We should remember that the word ‘russkii’ comes from Rus’, and there were different versions of Rus’: Muscovite Rus’ wanted to subject other lands and did so. Kyivan Rus’ or Galician Rus’ were not part of Muscovite Rus’. However in the opinion of many Russians, they should belong to Russia. Russian elites and a substantial section of Russian society do not acknowledge the simple truth that Ukraine is a sovereign state and thus has the right to determine its internal affairs and how it organizes its external security. Moscow formally acknowledged this by signing the Helsinki Final Act (1975), the Budapest Memorandum (1994) and the Treaty on the Border between Russia and Ukraine of 2003. But the guarantees made in Budapest by the nuclear powers (Russia and the United States, the United Kingdom, France and even China) regarding Ukraine are, in practice, no more than verbal declarations that offered Ukraine ‘reassurances’ instead of ‘guarantees’. The point of departure for a sensible resolution to the conflict between Russia and Ukraine should be careful treatment of the obligations laid out in these agreements. Without this, not only will the conflict be unresolvable, but there will not even be any constructive Russian–Ukrainian dialogue. I think that sooner or later we will arrive at such a dialogue. You often point to two main principles – or the pillars of European security in the twenty-first century: the inviolability of borders and respect for nations’ rights to the self-determination of their own political order, without foreign interference. We can indeed think about how these principles, enshrined in the Final Act of the Conference of Security and Cooperation in Europe, apply to our new political reality. In the transatlantic area – from San Francisco to Vladivostok – the Organization of Security and Cooperation in Europe (OSCE) is the only joint organization that mandates a common code of states’ conduct in their relationships with one another. We should remember: Principle VIII of the Helsinki Final Act addresses equal rights and the self-determination of peoples. According to this principle, ‘all peoples always have the right, in full freedom, to determine, when and as they wish, their internal and external political status, without external interference’. Obviously nothing in this world is eternal and inalterable. Governments and socio-political systems can and must succumb to change. And they do succumb. But this should happen exclusively as a result of the will of the citizens and the nation’s residents and of the state that these changes affect. After all, even the system in contemporary Russia has been forced to change: it was different under Gorbachev, different under Yeltsin, different yet again under Putin. After Putin it will also be different. But this change cannot be imposed from outside. This applies equally to Russia and to Ukraine. Does this mean that the Kremlin has simply have forgotten Principle VIII of the Helsinki Final Act? No, it has not forgotten. It has simply changed its attitude towards that document and the role of the entire process, which – by the way – was initiated by the USSR. For the Russian state, the key task is to undermine the decisions of the Kyiv Maidan. To put it crudely, the Russian interpretation of the Maidan is that it was the implementation of an American concept, which was proclaimed by George W. Bush and shared by his successor Barack Obama: namely, the promotion of a ‘regime change’ strategy. The United States – according to the Russian government – deemed itself the ‘world’s policeman’, with the right to enforce its version of democracy in other countries, especially those that the USA recognized as undemocratic. For example, since Saddam Hussein’s regime was not democratic, the US could march into Iraq to bring down his government. Likewise with Libya or Afghanistan. The Kremlin saw this behaviour as a manifestation of an international imperialist conspiracy, the hegemon of which is the United States. The US seeks to impose its model of democracy on the entire rest of the world; proof of this was the festival of ‘colour revolutions’, including the Arab Spring. According to this logic, the next step in implementing this policy was Ukraine. The Kremlin does not acknowledge that it was Ukrainians themselves who saw Yanukovych’s government as rotten and corrupt. Ukrainians were also convinced that Yanukovych was fulfilling Russia’s will. A year after the change of government in Kyiv, Putin said in an interview on Russian public television in 2014 that the legally elected president of Ukraine, Viktor Yanukovych, had been removed from power by a ‘coup d’état’, and that he, Putin, gave an order to the Russian armed forces to save Yanukovych. One may justifiably ask why the full might of the armed forces of a global power – the great Russian state – was called into action to save a single man? The answer is because he was ‘Putin’s man’ and – equally importantly – could still prove useful if Russia managed to impose a political system on Ukraine that was dependent on Russia. 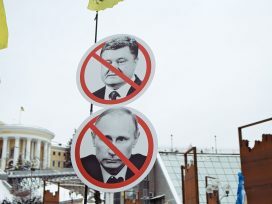 Moscow did not recognize that Ukrainians had decided to change the political regime, so that Yanukovych and his ‘company’ no longer had any place. As things have turned out, the scenario of Yanukovych returning to the Ukrainian political scene has ceased to be relevant; he is so discredited that in the Kremlin a search is probably going on for a new, young leader who could head the pro-Russian opposition in Kyiv. Russian strategy towards Ukraine boils down to destabilizing the current authorities and, after bringing them down, establishing a regime of ‘limited sovereignty’. In other words, Ukraine’s politics would be required to correspond to the strategic goals of Russian policy. On this basis, the façade of a sovereign and independent state would be maintained. The fundamental condition and demand for such a situation is that the country must be dependent on Russia. At the same time, Ukraine could preserve all its national attributes: the flag, crest, anthem, uniforms and even language – with the assumption that the status of Ukrainian and Russian would be equal and both would be recognized as state languages. But Putin’s Russia has its supporters in Ukraine. Naturally. People living in Ukraine were not inimically disposed toward Russia. It is only the Kremlin’s behaviour toward Ukraine that has changed this state of affairs. The paradox is that no other country has done as much to shape the new national and civic consciousness and identity of Ukrainians as Russia since late 2013. I would say, tongue in cheek, that Ukrainians should erect monuments to Putin for what he did to awaken their sense of national community. Negative attitudes towards Putin’s Russia used to be marginal, especially in central and south eastern Ukraine, but now they have become much more widespread. The ‘credit’ for this undoubtedly goes to Russia. If the Russian government had not interfered and had instead left the residents of Ukraine their full freedom, then today the country would probably be divided between advocates of close cooperation with Russia and advocates of integration with the European Union. Moreover, Russia could support Ukraine through the development of economic ties that would not have been determined by political dependence. In the days of the USSR, Ukraine was the armoury of the Soviet army, equipped with the latest technologies for producing state-of-the-art aeroplanes and rockets. Russia could import this production and in that way tie Ukraine to itself economically. The condition for resolving the Ukrainian–Russian conflict is recognizing Ukraine’s right to freely determine its own fate. If Russian leaders were to treat the country’s right to exist seriously, they could establish a new sort of relationship with Ukraine. I think that sooner or later it will come to this, although the path will be very painful and lengthy. We are quick to recognize an illness, but the convalescence process takes a long time. An analogy to Polish-German relations after the First World War comes to mind. The foreign minister in Weimar Germany, Gustav Stresemann, demanded that the borders be redrawn, asserting that the western borders of Poland were ‘intolerable’ (unerträglich), that they were ‘borders of blood and fire’ (blutende und brennende Grenzen). In the same way, the Kremlin does not accept the border with Ukraine in the southeast. Russia inspires and supports the separatists from Luhansk and Donetsk. In effect, when Yeltsin’s government ended, Russia abandoned the policy of respect for the status quo and the inviolability of existing borders, and became a de facto revisionist state. You once said that nowadays we should not expect any great breakthroughs in international affairs. The dialogue between nations now happens on several levels and is an arduous, long-term process. So can we expect a breakthrough in Russian-Ukrainian affairs? There will be no breakthrough. The most that we can expect is serious dialogue and the gradual normalization of bilateral relations. This is the optimistic scenario. Worse options are also possible: for example, the long-term maintenance of a state of ‘neither war nor peace’, such as in the Middle East. One also cannot preclude the possibility of externally inspired coup attempts with the passive acceptance of the new American administration. The key task for Ukraine’s security in the long run is the shaping of a new identity for the political nation, which will be able to make its own sovereign decisions regarding relations with its neighbours according to the rule: ‘nothing about us without us’. One of the goals of my stay at the Institute for Human Sciences was to design and launch a trilateral project on the shaping of political identities of nations undergoing transformation, using the case studies of Poland, Russia, and Ukraine. This idea was the subject of initial discussions between scholars from the three countries, and resulted in a list of questions that would then be answered by experts from the perspective of these countries. This would offer an opportunity to reflect on political identity formation: Is it shaped mainly by culture, language, mentality and religion? Or is it a specific stance towards one’s own history, towards the history of one’s neighbours? Is one’s identity defined in opposition to that of others? It is also important to consider whether modernization demands a change in people’s mind-sets. In other words, is our identity decided by history, or also by national culture mentality directed at solving the problems of today and tomorrow? Is it a question of rising to the challenges brought by the accelerated pace of change in the modern world and the new attitudes and expectations regarding one’s own society? Let’s consider an example. 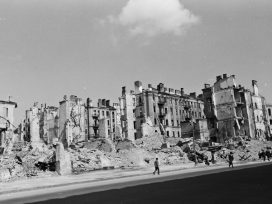 Historical memory in Polish–Ukrainian relations is not an easy topic. It is enough to mention the extreme emotions elicit today by the mass killings of Poles by Ukrainians in Volhynia in 1943. In the context of the project I just mentioned, the question arises as to how far the memory of Volhynia affects the shaping of the identity of today’s Poles and Ukrainians. Should the matter be hushed up, or should we tell the truth – whether or not it is comfortable or politically correct? It is certain that we must recognize the right of Ukrainians and Poles to their own historical memory. Neither Poland nor Ukraine can or should impose some sort of joint ‘canonical’ version of history. Researchers should work together when it comes to establishing historical facts, but their interpretations are and will be different. The branches and leadership of the Ukrainian Insurgent Army (UPA) left behind a substantial number of documents that could be compared to the documents of the Soviet special services. The Polish historian Grzegorz Motyka, director of the Institute of Political Studies at the Polish Academy of Sciences, has published several monographs that attempt to objectivize these events. But people are mistaken if they think that these publications have a significant impact on historical memory. Historical memory is a phenomenon that is entirely sui generis, autonomous and independent. 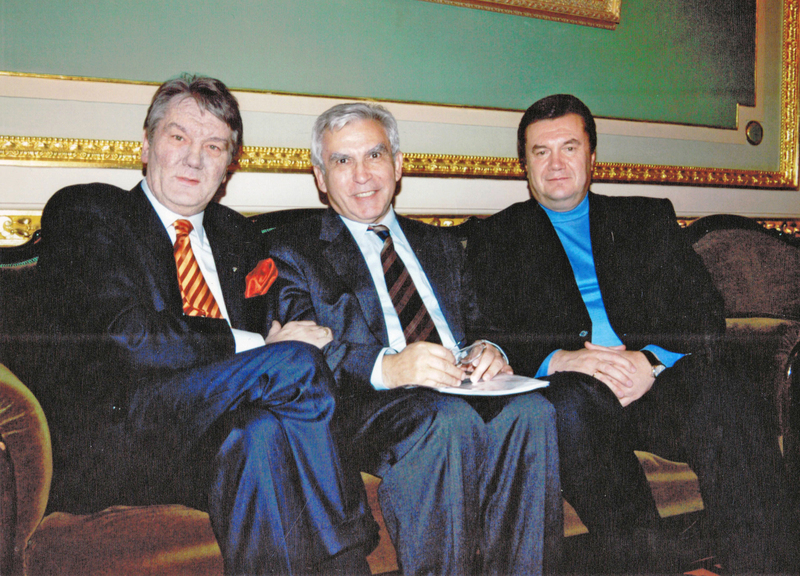 Some years ago, Polish and Ukrainian researchers initiated several joint projects. 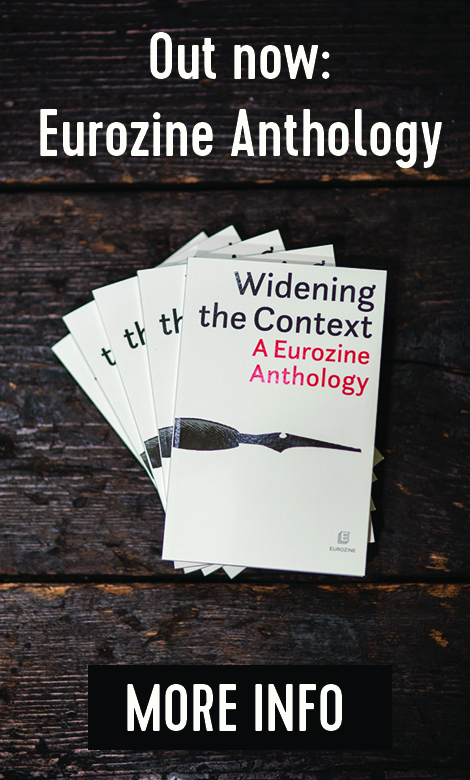 Under the auspices of the KARTA Centre, they produced more than ten volumes in the series Poland–Ukraine: Difficult Questions (Polska–Ukraina: Trudne pytania). It was not the questions that were difficult, but the answers. The difficulty in speaking scholarly truth often lies not in lack of access to documents, but in the fact that we are dealing with the spheres of psychology, emotions and a mix of high ideals and proclamations. At the same time, it concerns brutal acts, involving heinous and criminal actions. Mythology and historical memory rest on lofty words and push what was shameful, inhumane and wicked into the darkness. 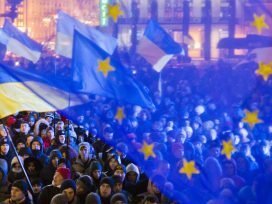 A final question: how, in your opinion, will relations between Ukraine and the European Union develop? It looks like solidarity with Ukraine is beginning to weaken. Every EU summit is preceded by uncertainty over whether sanctions against Russia will be extended. In order to answer that question one needs to recognize a simple truth: today, the world’s problems come from within the states, not from relations between them. There are no fundamental problems between Ukraine and the European Union. But there are serious problems within Ukraine and within the European Union. After all, the European Union is 28 countries – after Brexit 27.5. And each of these countries defines its stance towards Ukraine in a different way. 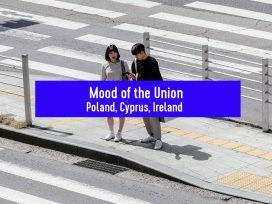 In Germany and Austria, there is more understanding towards the Ukrainian issue than in southern Europe – in Spain, Italy, Portugal or Greece. These countries’ attitude towards Ukraine is not negative, but indifferent. I remember that more than 10 years ago, during a ‘Gymnich type’ meeting – an informal EU debate – a foreign minister from southern Europe expressed the view that historically Ukraine was never a state or even a separate nation. This politician’s ‘knowledge’ was based on a Ukrainian history textbook published by the Soviet Academy of Sciences in the 1950s, published – nota bene – in Russian. This textbook expressed what today we would call the Stalinist version of the politics of history. And yet today there is a basic consensus in Europe on Ukraine, and this shared view is very different from the Russian attitude. In 2014, at the initiative of Switzerland and Germany, a group was formed called the Panel of Eminent Persons on European Security as a Common Project. This group, which I happened to take part in, produced two reports: the first concerned Ukraine specifically, while the second was on the subject of cooperative European security.1 The Panel included a Russian, Sergei Karaganov, whose position was basically that Ukraine can obviously be a sovereign country, but only on the condition that its policies comply with Russian security strategy. In other words, that it had ‘limited sovereignty’. The other participants in the panel could not agree with this approach. Karaganov distanced himself from the majority standpoint, offering his votum separatum in the form of a letter attached to the Final Report. To return to your question: we do not know how things will unfold in Ukraine, in Russia or in the European Union. For obvious reasons, the EU is interested in regulating Russian–Ukrainian relations in a manner that is beneficial both to Ukraine and Europe. One should not underestimate the fact that, in the immediate future, the new strategy towards Russia adopted by US President Donald Trump will influence the long-term Russia–Ukraine relationship to a great extent. Ukrainian issues are also at the centre of attention for the OSCE, whose presidency Austria now holds. The results of the French and German elections will also affect relations with Ukraine. However, the deciding factor will be reforms introduced in Ukraine. Much more depends on their success or failure than on relations between Ukraine and the EU. I come back to my main argument: the situation today depends less on relations between states than on changes going on within them. 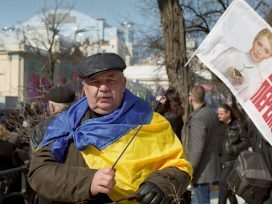 If reforms of the Ukrainian state turn out to be effective and a system is worked out that can make strides towards the elimination of corruption from public life, then that will have a much greater impact on the future of the country than dozens of declarations and resolutions. 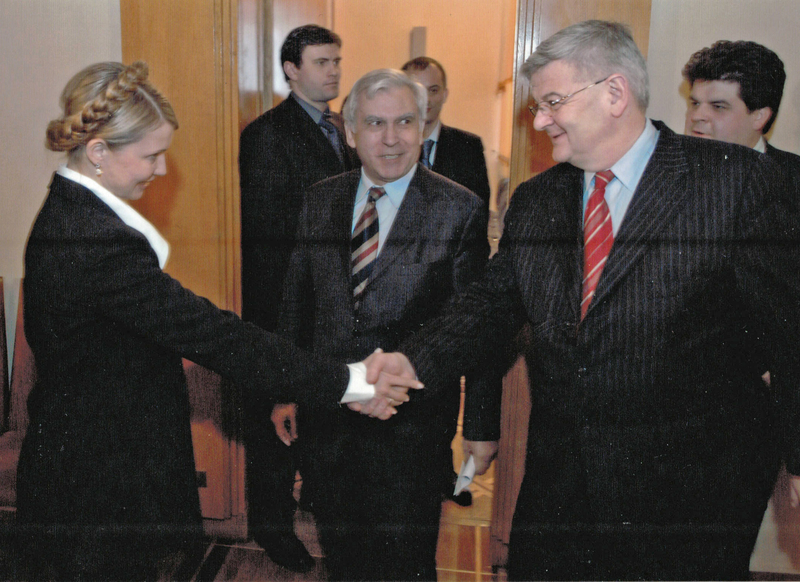 Meeting Ukrainian President Viktor Yushchenko during a joint visit with German Foreign Minister Joschka Fischer, Kyiv 21.March 2005. Private archive A.D. Rotfeld. Interim Report: https://www.securityconference.de/fileadmin/MSC_/2015/CGM_Wien/PEP_Interim_Report_-_Lessons_Learned_for_the_OSCE_from_its_engagement_in_Ukraine.pdf; Final report: http://www.osce.org/networks/205846.